I was looking forward to this dinner for quite some time before it happened. 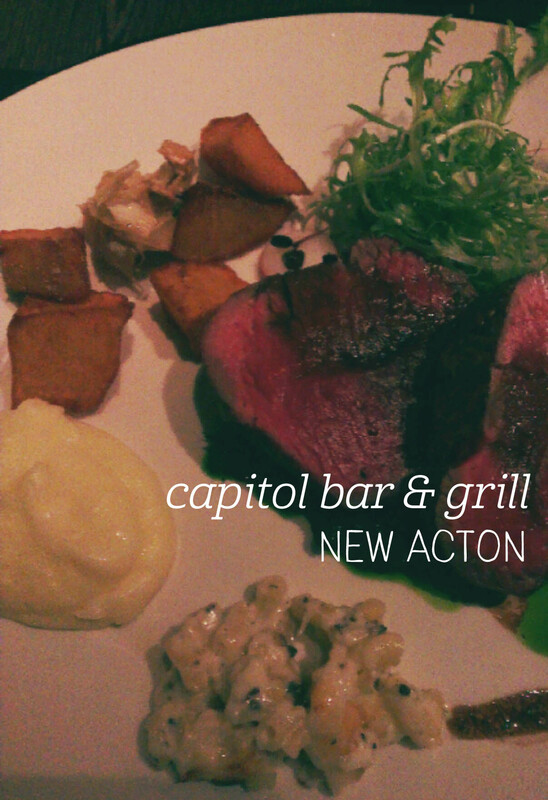 The QT hotel in New Acton has only recently opened under that brand, and with it came the Capitol Bar and Grill, promising excellence in steak. Challenge accepted. I went with three friends who are equally appreciative of a slab of beef, so we each ordered something different and decided to share a range of sides. I chose the 200g Eye/Ox Fillet from Tasmania, which I ordered medium-rare, along with a serve of the garlic and rosemary potatoes. 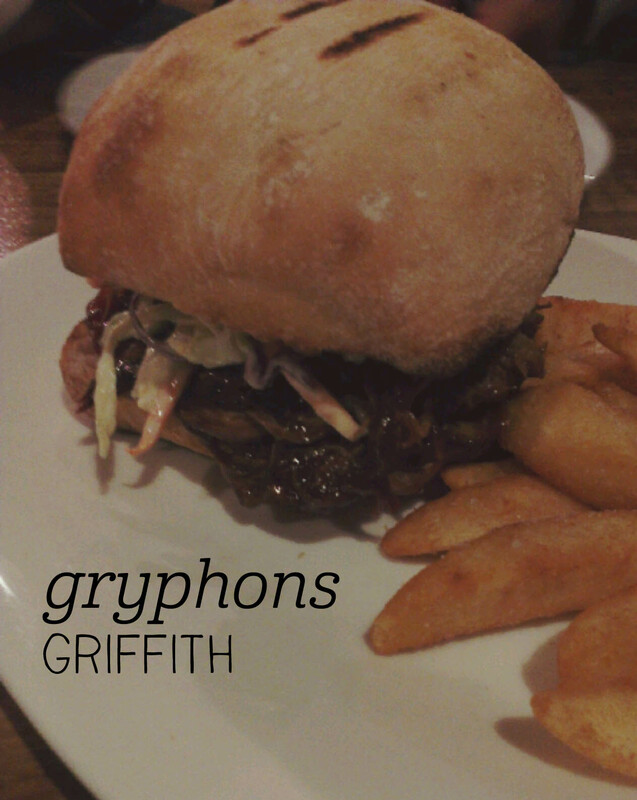 We munched on a range of tasty breads while we waited for our slice of beef perfection. When the mains arrived they were worth the wait – my beef was so tender and flavoursome, and was perfectly enhanced by the horseradish cream picked out from the range of condiments on offer. The highlight of the side dishes was the mac and cheese, quite possibly the best I’ve ever eaten out. Despite being stuffed full, we pushed through for an apple tarte tartin to share for dessert – again very much worth the pre-warned 20 minute wait. 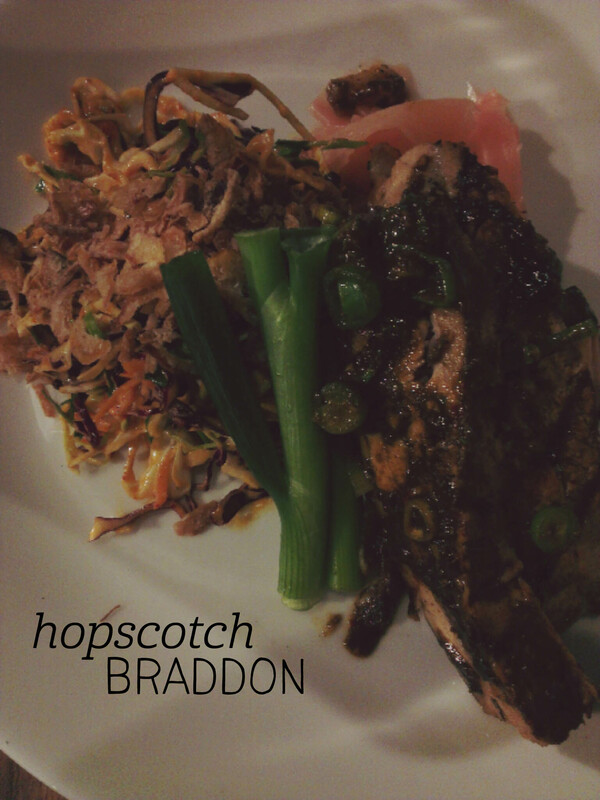 Not an inexpensive meal, but we weren’t rushed and could savour every delicious mouthful. Canberra is a cold place. Cairns is not. On arrival, it was a bit of a shock to the system. 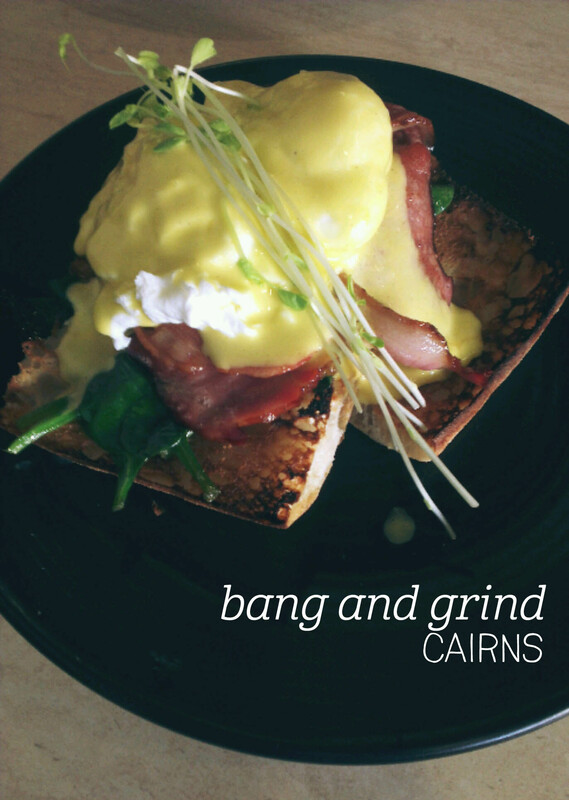 Luckily, we’d scoped out Bang and Grind as a way to arm ourselves with nutritious… ok, who am I kidding, we just went out for breakfast, no excuse needed. I ordered the eggs benedict with bacon, wanting to see how they do this classic in the tropics, along with a fresh orange and apple juice. The juice came out first and was huge – great value for $7, and obviously fresh with froth on top. My friend enjoyed his coffee and ended up going back several times over the next couple of days. The eggs took a while to come out, but were presented beautifully when they did. Unfortunately they were overcooked when opened – one partially runny, the other completely solid – and the bread was far too tough to cut for my liking, but the hollandaise wasn’t chemically and the bacon was delicious. The serving size was generous and whilst the decor was simple, it is clearly a popular local haunt. A lot of my friends are foodies. This usually works out well for me, especially when I visit cities they’ve lived in. 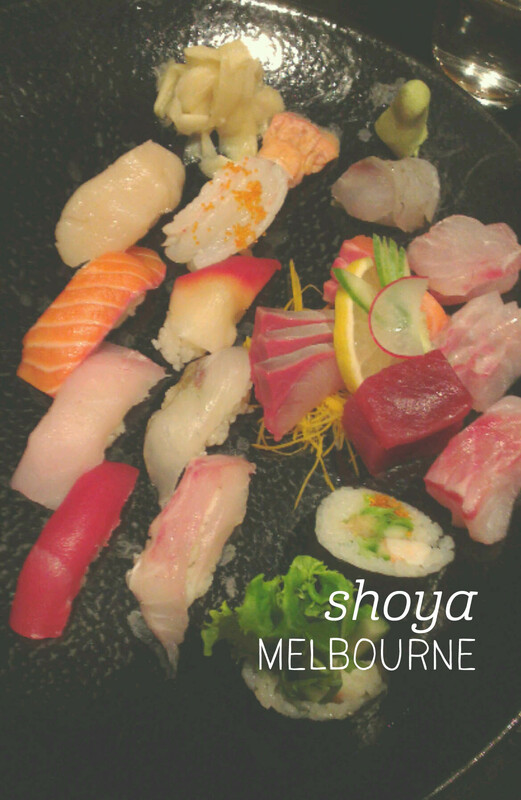 Shoya was a fancy dinner choice booked by a colleague, and I feel like I now owe him a very good Adelaide recommendation in return. For me, the dinner at Shoya was all about the sashimi. Yes we had other things, including some excellent ageashi tofu, my first taste of abalone and some very tender, tasty beef. But having visited my favourite sushi bar in Japan recently, finding some good quality, well-sized pieces of raw fish in Australia was such a delight. Each piece was perfectly cut and melted in your mouth – the tuna was a particular highlight and I think I ended up eating more than my fair share. In fact, when it came around to ordering dessert, I looked at my friends and meekly suggested another sashimi plate instead. Luckily they agreed, and we all left with very happy tummies. Having formerly worked in a juice bar as a student, juice is very important to me. I even have my own juicer at home, although I’m usually too lazy to use it because it takes so long to clean. As such I don’t mind paying for juice, especially when I’m out of town. I’d seen a closed-up Pressed store after hours in Adelaide earlier in the year, but was very excited to wander past an open one when I was in Melbourne. I have to admit that the store fit-out drew me in – almost Scandinavian with blonde wood, plants (yay) and rows and rows of beautifully coloured juices. I’m not very adventurous when it comes to juice flavours, but Pressed really encourages you to move away from the traditional apple/orange mixes and pack some veg into your beverage. This time I stuck to something more traditional – green apple, lemon, mint and pineapple – and was rewarded with a tangy, beautifully refreshing juice that brightened up my afternoon. 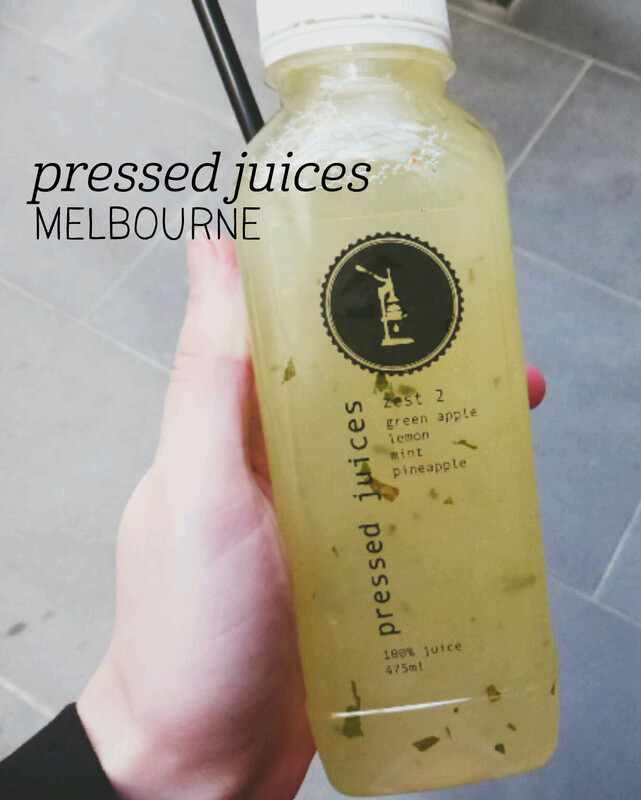 There is a clarity of flavour you get from cold pressed juice that isn’t like anything else. Definitely calls for a #cometocanberra campaign. I was a bit confused when I first saw the sign for Kong BBQ – it was half written in Japanese, but when I approached the menu looked like Korean fusion. Ok, I don’t mind a bit of cultural confusion, as long as it’s tasty! Luckily despite the language/cuisine conflict, Kong has some very tasty offerings, many of which come with my favourite form of cabbage – kimchi! As a takeaway lunch from the pop up stall in the city, I started with two different buns – the smoked brisket and the spicy pork belly. 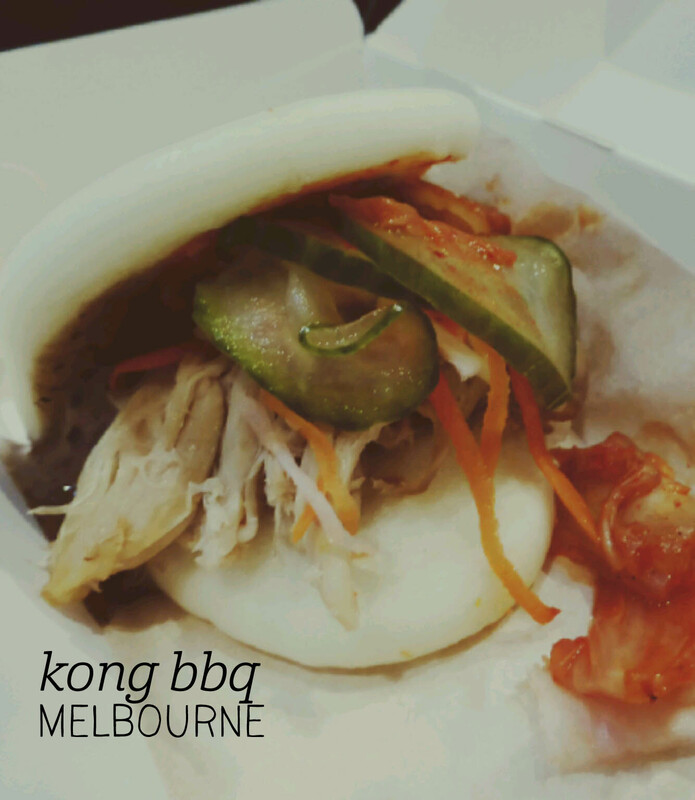 Both are served in a soft bun and are packed full of flavour and spice (and kimchi). Bring your tissues for runny noses and oozy sauce – not elegant, but when food tastes that good who cares? To finish, I shared a chicken roti roll with lemon and (you guessed it) kimchi – this was far and away the highlight, and I would have eaten two more of them if there was any space left in my stomach.